Loans take time. There is no easy way around it. We plan on 45 days, 30 if we are lucky, and possibly more depending on the loan and the circumstances. And for most of us, getting preapproved for a home loan can be hard work, which is why I hate to see home buyers sabotage themselves by making easily avoidable mistakes. I recently had a one-of-a-kind home listed for sale and a family came through it, fell in love. Now they had prepared themselves and had gotten a preapproval a few weeks earlier, but from the time they were first preapproved to the time they were ready to write an offer on this home, the husband bought a car, sending their credit to debt ratio out of whack. Back to the drawing board for them while they paid off the car loan- it was devastating and by then another buyer had written an offer that got accepted. These buyers lost their dream home, and they are not alone.  Buying a home is an exciting time and often buyers start moving money around or making large purchases in anticipation of the new home, but try to avoid these actions. 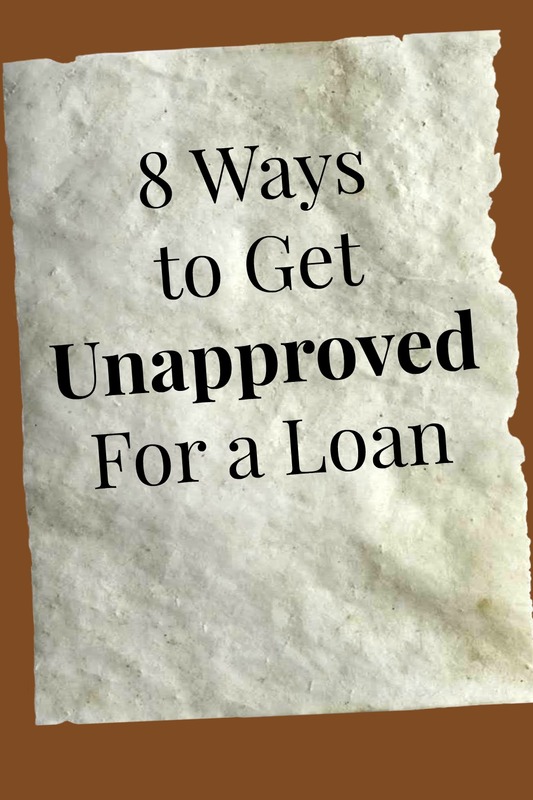 Lenders give us the 8 Commandments for keeping that loan from preapproval through to Clear to Close, and here they are, via Realtor.com. 1. Don’t apply for new credit: It may seem natural to apply for a credit card at a home improvement store or a furniture store when you are about to become a homeowner, but applying for credit can lower your credit score. Not only will you lose a few points because of a credit inquiry, but if you are approved for new credit, a lender may worry that you will spend up to your new credit limit and then default on your loan. 2. Don’t close any credit accounts: You may be feeling that this is a good time to get your financial house in order by closing unused credit accounts or transferring your debt to a new credit card with a zero-interest balance transfer offer. While that’s a smart move financially, it’s a bad one for your credit score because you lose points when you have a higher usage of debt compared to your limit on one credit card and to your overall credit availability. Wait until your closing is complete before you make these changes. 3. Don’t move your money around without a paper trail: Your lender will need the most recent bank statements before you go to settlement, so if you have any unusual deposits you will need to provide complete documentation of where the money came from. If possible, it’s best to move the cash you will need for your home purchase into one account before you apply for a mortgage. If not, make sure you have complete and accurate records readily available. 4. Don’t increase your debts: In addition to your credit score, your debt-to-income ratio is extremely important to a loan approval. If you take on more debt you could be in danger of going above the maximum acceptable debt-to-income ratio. 5. Don’t skip a payment or make a late payment: One of the most important elements of your credit score is your history of on-time, in-full payments, so don’t get so caught up in your move that you forget to keep up with paying basic bills. 6. Don’t buy a car: You may be feeling that a new car would be a nice addition to the driveway of your new home. Resist that feeling. Even if you can easily afford a new car, the depletion of your savings or the addition of a new car loan could derail your mortgage application. Wait until after you have moved to switch to a new car. 7. Don’t change jobs if you can help it: While a job change could mean a raise or a path to a better future, it could also delay your settlement. Your lender needs to verify employment and will need paystubs to prove your new income before your loan can go to settlement. 8. Don’t spend your savings: You’ll need cash on hand at the settlement for your down payment and closing costs and your lender may even verify your cash reserves one more time, so make sure the funds stay in place. Sometimes things come up that are unavoidable- we get it. In that case, you need to talk to your lender about documentation. 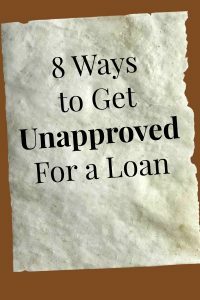 They can advise you on the best way to proceed and they can tell you exactly how this might need to be documented so you can still get a loan. As for those buyers I mentioned earlier, they got their finances in order, found a home that actually met their needs better than the first, and have settled in beautifully. Edit: My friend Dan Melson, a real estate agent and lender in San Diego, CA, gave me some additional information via a Facebook comment. You can, and should, read his helpful insights in the comments, below.